Jeremy Thinks Coding is the Future! Ten-year-old Jeremy is in 5th grade and lives in California! His biggest hobby is playing hockey. We loved his projects, and wanted to speak with him to learn more about what he likes to do and why he loves to code! What do you want to be when you grow up? I want to work for NASA – I want to be a computer engineer. It seems interesting. How did you get introduced to Tynker? My mom, she’s a teacher. What is your favorite thing you’ve made? I like the game I made on my mom’s iPad on Tynker – Hedgehog Run. Do you look at the Tynker community projects? Yes, I do look at them. I like them because they are very interactive and they are fun to watch or play. I look at them sometimes. Why do you like to code? I think it’s fun to create something that’s your own. It feels amazing. I’d rather do my iPad than watch the Simpsons. Do you ever make other things? Every month I make a catapult or something. I’m also on the robotics team. 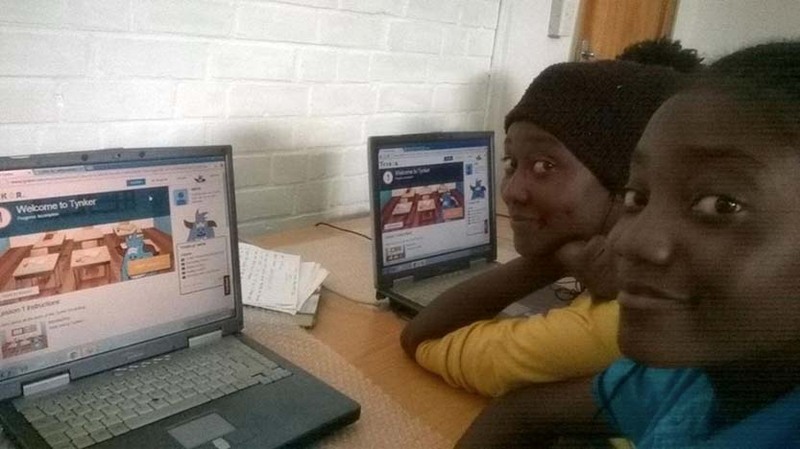 Do you think other kids should try coding? Yes, because coding is the future. The rocket doesn’t fly itself, it’s coded! What advice would you give for kids starting out with Tynker? If you don’t know something, watch one of the featured videos. Make sure you check out Jeremy’s fun featured project, Marshmellows! Thanks for speaking with us, Jeremy and Lisa! We’re so glad you’ve brought Tynker to your students and children, Lisa – and we’re thrilled Jeremy loves coding with Tynker. We’re looking forward to seeing what you come up with next, Jeremy! Keep coding!